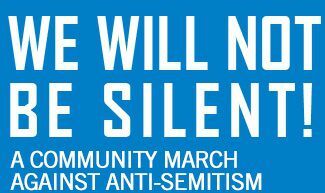 On August 20, reported the Canadian Jewish News, several thousand took to Bathurst Street under the slogan “We Will Not be Silent: A March Against Global Anti-Semitism.” The demonstration was organized by United Jewish Appeal Federation of Greater Toronto, the Centre for Israel and Jewish Affairs, B’nai Brith Canada, Canada Israel Experience, March of the Living Canada and the Jewish National Fund (JNF) Canada. If one were to take the organizers’ slogan seriously this demonstration was among the largest anti-racist mobilizations in recent Canadian history. But, unfortunately it was little more than a group of “white” people calling for the further subjugation of “brown” folk. A little over-zealous defence of one’s own “tribe” could perhaps be forgiven, but not when accompanied by a ringing endorsment of the racist militarism sweeping Israeli society. Over the past two months the Israeli military has killed some 1,700 Palestinian civilians in Gaza and there has been an upsurge in racist outbursts targeting those seen as a threat to the Jewish character of the state (mostly Palestinian citizens of Israel but also African refugees and anti-Zionist Jews).